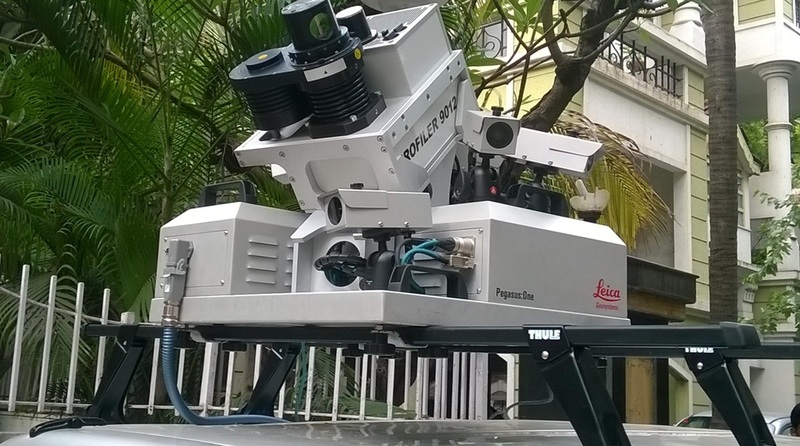 3D Mobile LiDAR is an advanced mapping solution that incorporates the most advanced LiDAR sensors, cameras and position/navigation/GPS receivers to collect survey grade 3D point cloud data quickly and accurately. Mobile mapping is the process of collecting geospatial data from a mobile vehicle, typically fitted with a LiDAR remote sensing systems. Such systems are composed of an integrated array of time synchronised navigation sensors (survey grade DGPS) and imaging sensors mounted on a mobile platform. We use, a four wheeler vehicle which is mounted with high frequency (2 GHz) horn antennas to measure the pavement thickness accurately up to 2 mm for the depth of about 0.7 m and the low frequency (400 - 900 MHz) antennas are used to study the underground utilities up to about 2 m depth. A GPS and video camera is also connected to this system which gives the position & location details accurately.